Carrington King was born from a passion of Rupert Saint and Graeme Neville to provide a point of difference within the executive search and recruitment industry, with a commitment to delivering long-term recruitment and career solutions for clients and candidates. Rupert and Graeme are both experienced senior executives; Rupert with 25 years of recruitment experience, and Graeme with more than 30 years of business ownership and management experience. It’s the perfect partnership of recruitment smarts and business acumen, and it’s how Carrington King differentiates itself from other recruiters. First and foremost, at the heart of Carrington King are its relationships. Our promise is that more important than quick, expedient answers is a philosophy that we partner you for the long-term, so that we are constantly on the look-out for the perfect candidate (employers) or position (candidates). Communication is the key to embracing and succeeding in our relationships. We understand that managing expectations is crucial to successful recruitment, which means we listen to your needs, ask questions (sometimes the difficult and confronting ones) and keep you abreast of developments at all times – so we can deliver the best, long-term result for you. Rupert is the Founder and Managing Director of Carrington King. He holds integrity and honesty close to his heart, genuinely cares about his clients and candidates, has absolute determination in delivering the most optimum solutions and service excellence, and is committed to building long term sustainable partnerships with clients. These personal values permeate through Carrington King, clearly differentiating it from many other recruitment firms. Rupert is responsible for business strategy and corporate governance. He plays an active role in developing new business relationships and managing key clients. He also leads a team of industry specialists which delivers retained executive search and selection services into key markets. Rupert’s vision for Carrington King is to be the most trusted, personable and professional business partner in providing specialist practices in Executive Search, Data Analytics, and Sales & Marketing, throughout Australia and South-East Asia. Before starting Carrington King, Rupert held a number of executive and senior positions in various recruitment firms, including Derwent Executive, Carmichael Fisher, Hamilton James & Bruce, and Accountancy Link. He gained extensive recruitment expertise through placing business professionals and senior executives across a variety of industry sectors including Technology, Professional Services, Data Analytics, Manufacturing and Energy. As one of the founding directors of Carmichael Fisher, he built and grew the Victorian team from 4 to 30 staff in 4 years. Prior to the recruitment industry, Rupert worked as the Finance Manager and Management Accountant for Procter & Gamble (NZ). He also held a number of roles in Retail, Hospitality and Manufacturing, ranging from global multinationals to small start-ups, that give him his depth and breadth of experience. Rupert holds a Bachelor in Commerce from the University of Auckland. He is also a member of the Institute of Analytics Professional of Australia. He enjoys spending time with his family and friends. An experienced traveller and a keen fiction and non-fiction reader, Rupert also has an active interest in sport and art. Graeme was originally appointed as the Non-Executive Chairman of Carrington King in 2010, bringing with him over 30 years of leadership, marketing, advertising and management experience, as well as his strategic mind, strong affinity with people and business building ability. Today, Graeme works with Rupert in building Carrington King as a trusted, personable and professional business partner in providing specialist practices in Executive Recruitment and Data Analytics – Graeme owned and operated a successful Advanced Analytics business for nearly 20 years. 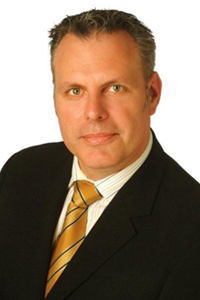 Graeme also provides Leadership Solutions and strategic advice to Carrington King as well as other selected clients. He also plays an active role in sourcing high quality candidates overseas, as well as developing business relationships. Prior to Carrington King, Graeme spent a career identifying potential and carving out leadership positions in the market. He was a founding partner of Pathfinder Solutions (now a part of the Deloitte family). 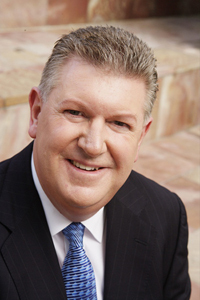 He played a pivotal role in the creation of Geospend, a venture sold to Australia Post in 1997. Graeme also held key management roles with national companies in the advertising, consumer products and market analysis fields, including a number of years as Director and CEO of breakthrough outdoor media group – Buspak. Graeme maintains a passion for music, travel and aviation. He plays Blues/Rock guitar, and he has held a private pilot’s license for 30 years.